The purpose of laser tattoo removal is to break ink without damaging the surrounding skin. In laser tattoo removal selective photothermolysis is used to safely and effectively fade or remove tattoos. An increase in the popularity of tattoo removal services in cities like Indore has been accompanied by many misconceptions. The main objective of this article is to tell people about the laser tattoo removal. So that you can know how the process works. Here we are listing a few misconceptions. True. The laser tattoo removal depends on many factors like location of the tattoo, colors, density, ink and skin type. It also depends on proper aftercare. In general, the healthier a person is, the easier it will before your body to flush away those unwanted pigments that have been shattered by the laser. Also, the presence of previous scars, the age and the previous tattoo covers ups also play an important role on number of sessions it will take to remove the tattoo. No, this is not true. New tattoos are actually difficult to remove and there are many more risks involved. Your body is reacts for quite some time after receiving a new tattoo, so one must wait for 8 weeks or more before starting laser tattoo removal. Laser tattoo removal is instant. No. Tattoo removal gives results more quickly than alternatives, like tattoo removal cream, but results are not immediate. 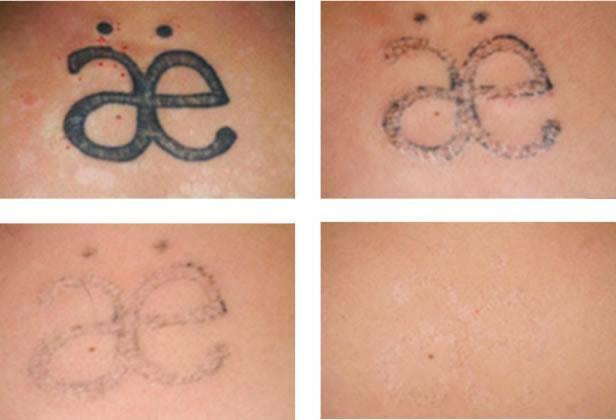 An instant frosting takes place immediately after makes patient think that their tattoo is gone, but this reaction is actually the ink being penetrated by the laser and goes away in a few minutes after the laser removal session. Laser tattoo removal actually takes months to even years. Every session will shatter more ink making it easier for your body to remove. Excessive bleeding is part of laser tattoo removal. This is not true. Laser tattoo removal doesn’t cause excessive bleeding. Anything more than pinpoint bleeding is very rare. Pin point bleeding is small and generally inside the epidermis. So you won’t ever see excess amount of blood on the dressing that is put to cover the area after your session. Laser tattoo removal causes scarring. This is not true. Except you are prone to scarring or have an existing scar or are careless with your aftercare, laser tattoo removal won’t cause scarring. During your laser tattoo removal consultation, your tattoo and the skin around it is checked carefully. Any existing scarring before the treatment is identified during this consultation. Previous injuries that causes scarring and the right aftercare for your treatment are discussed thoroughly in order to avoid any misunderstandings. How To Choose The Right Laser Tattoo Removal Clinic? 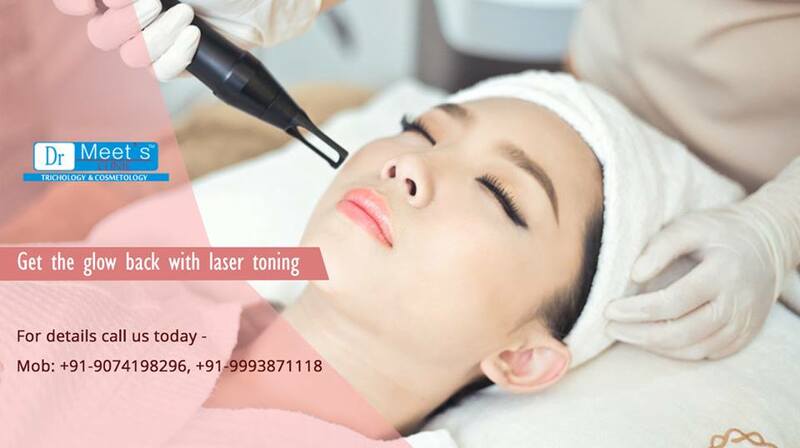 In past few years, the number of people researching for laser tattoo removal clinics in Indore has increased significantly. In fact, people opting for laser tattoo removal has also increased. For those people considering safe laser tattoo removal options, many are asking the same question. How to choose the right laser tattoo removal clinic near me? Here are some tips that will make it easier for you to make a well-informed decision as you look for the best laser tattoo removal clinic. Look for a medical doctor? It is essential to consider a clinic that is operated by a medical doctor who specializes in tattoo removal. The qualified doctors are able to manage a team of well-trained experts and keep them up to date on safe and effective laser tattoo removal procedures. Visit a tattoo removal clinic that provides consultation. A good clinic specializing in laser tattoo removal cares about your safety and as a result, it educates you about the process and after care. The consultation will assist identify a clear plan of action to go about the tattoo removal. It will give you all the information you need about prices so you can have realistic expectations about the end result. It is essential that you know all the process and aftercare treatments. Talk to people who have had laser tattoo removal process done. Ask about their experience and if they have any recommendations. Also, make sure to look at reviews. When people have good experiences they are always happy to refer the clinic to new customers. As said previously, look for a clinic that cares about well-being of people and educates them about the process of laser tattoo removal. A good clinic is active online, giving information to assist make a well-informed decision about tattoo removal. Clinics that actively create information and blogs about laser tattoo removal to educate people show that they care for future patients. After finding about the right clinic, take price into consideration. Think about the value. Remember the price of laser tattoo removal has reduced recently, thanks to advances in laser technology. But, avoid laser tattoo removal clinics who provide cheap deals. Cheap tattoo removal is never good. Just like tattoos, you get what you pay for. Remember this is your body and you have to take care of it. While the sessions may be cheap, they more probably will have more sessions, more trouble and will have you search for a reputed laser tattoo removal clinic soon after.